Once again, I seem to have taken a long time to get about posting some work. This time it’s about the flaps. I got the pieces out just before Oshkosh this year and got started. As usual there are a lot of pieces to get cleaned up. 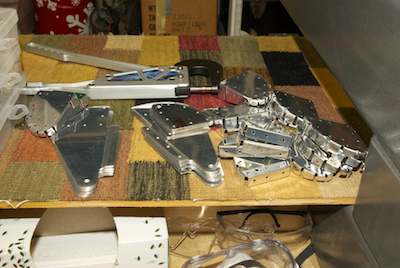 Kathy helped with a lot of the edge clean up of the plate stock pieces while I worked on the skin edges. 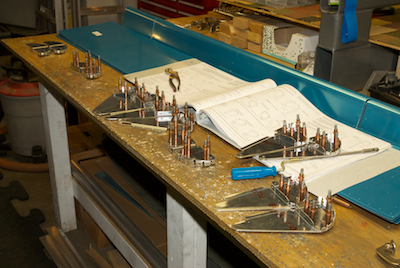 Like the ailerons, there are a lot of parts common to the RV-10. 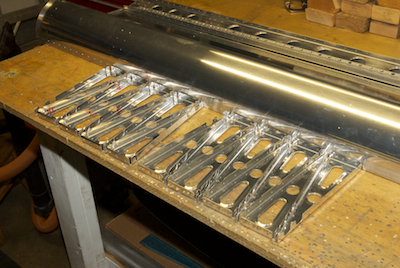 Again, RV-10 parts seem to need most holes to be final drilled while the RV-14 specific parts are all final sized holes. 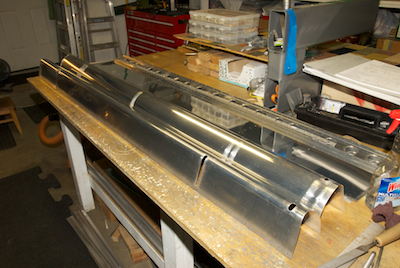 Most of the parts below are standard RV-10 parts and they needed drilling.